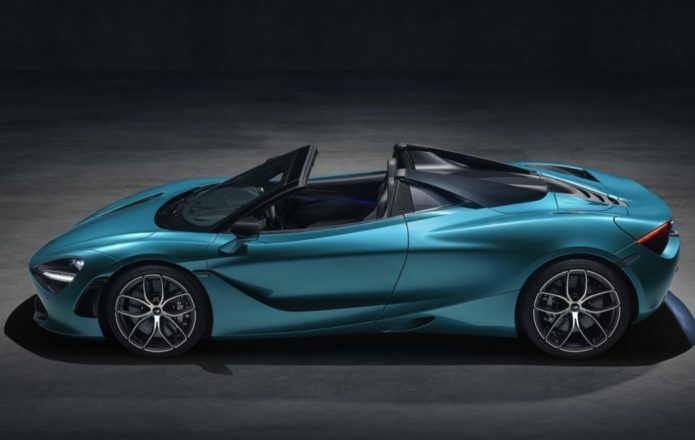 McLaren has pulled the wraps – and the roof – from its latest supercar, with the 2019 720S Spider promising both performance and an uninterrupted view of the sky. A second variation of the award-winning 720S Coupe, the new McLaren 720S Spider is also the second car in the British automaker’s Track25 business plan, which should see a whopping 18 new cars or derivatives by the end of 2025. The new convertible certainly starts from a good place. Like the 720S Coupe, it uses the automaker’s Monocage II-S carbon fiber core, with a bespoke carbon fiber body structure on top of that. Since that was all designed with a drop-top in mind from the outset, no extra stiffening or strengthening was required compared to the Coupe.